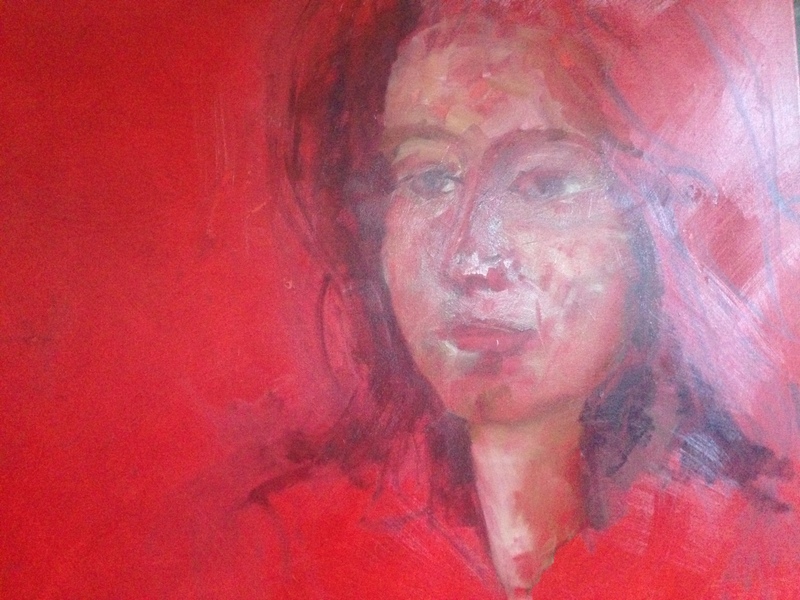 The bare red canvas moved along today to be the makings of a portrait. Have always been drawn to the body before and always headless ! this just flowed out today and Ireally enjoyed it……… Lets hope its dry tomorrow and then another layer ?